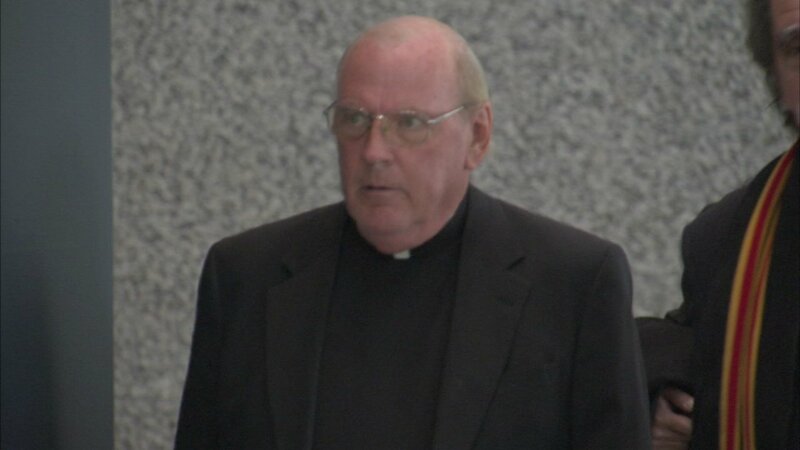 CHICAGO (WLS) -- In an 11th hour request, attorneys for Father Eugene Klein have asked that his sentencing tomorrow be stricken or at least postponed after federal prosecutors connected the Roman Catholic priest to scheme to leak information about a mob hitman. As the I-Team reported on Monday, the government is asking for a five year prison sentence for Klein, in part because they say he told mob boss Frank Calabrese the whereabouts of his assassin-brother Nick, key to the case and in the sacrosanct witness protection program. This afternoon comes Klein's attorney Thomas Durkin who says "In light of the government's pleading and this allegation that generated substantial media publicity" they want proof of such a plot to expose the hitman/witness and time to fashion a defense. According to the defense filing, prosecutors now claim that "We did not say at any point in our filings, and we will not be arguing at sentencing, that the defendant gave Frank [Calabrese] the actual physical address of Nick [Calabrese]." However, ABC7, the Tribune and the Sun-Times all quoted from government paperwork that suggested otherwise. Federal authorities responded to request for comment saying, "We'll decline to comment on the motion."